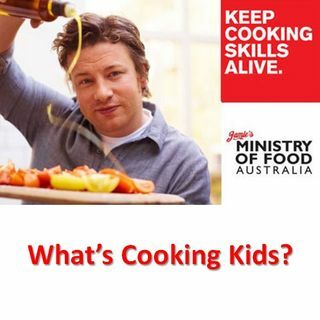 Youth Radio - Jamie Oliver's Ministry of Food Australia | What's Cooking Kids? #JamieOliver - Harry and Miani chat with the CEO of Jamie Oliver's Ministry of Food Australia, Elise Bennetts, about Food Revolution Day and healthy cooking and eating Jamie Oliver style! 20 May 2016 is Food Revolution Day - an annual global day of action that celebrates good, fresh, real food. It's a day to shout about the benefits of cooking from scratch and, ultimately to show people that not only is fresh food tastier, changing their food choices can also make them healthier and ... See More happier. This year Food Revolution Day is, above all, about sharing the power of cooking!